Don’t flirt with your personal safety and that of your families’. 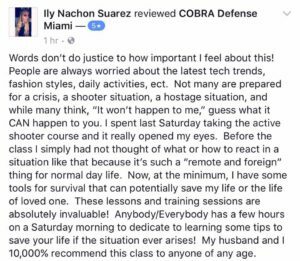 Get the COMPLETE Self-Defense Training you can instantly apply under the stress of an actual a Life-Or-Death Confrontation. Discover the amazing reality based training anyone can learn in less than 10 hours and gives YOU an advantage over a degenerate intent on making you his next victim… regardless of your size, speed, athletic skills or inexperience. 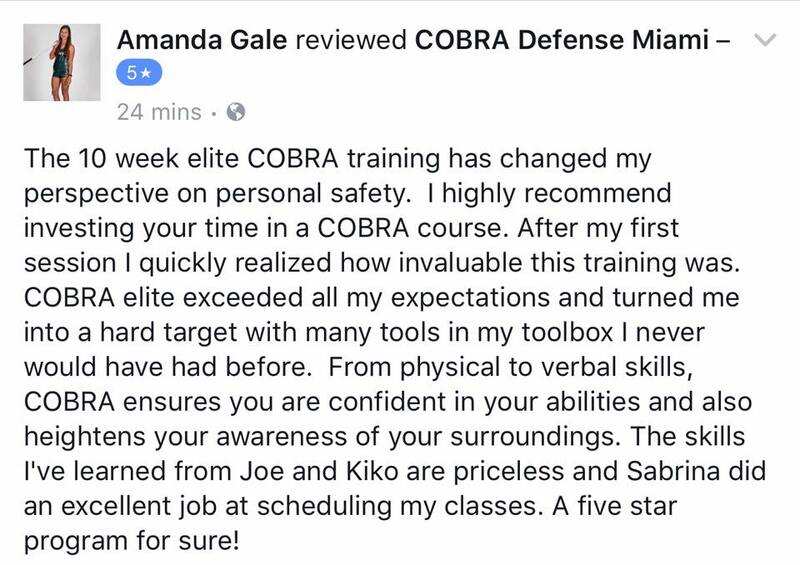 …this COBRA Gold training (the Gold Standard in self-defense training) will transform you from being an easy target for criminal violence, to being an absolute nightmare for criminals and you will pass your Matrix Final Experience (Final Exam) by the end of your training… or we will continue to train you, at no additional cost, until you do! That’s our COBRA Gold Immersion Guarantee so you know you’re getting the BEST training available. This training is unique because it gets YOUR nerve system to respond appropriately under duress rather than “freezing up” with paralyzing fear. You will register as a “big mistake “in the assailant’s mind in the first 3-5 seconds of almost any encounter. 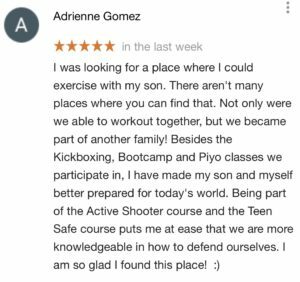 And because the system is based on the scientific principles used to train Elite law enforcement, you’ll easily master the applications in hours instead of years , regardless of physical size or athletic ability. Don’t worry if you have zero experience. Oftentimes, you’ll learn the material easier since you won’t need to ‘unlearn’ any previous bad habits to naturally protect yourself from violence. YES, Joe! – I want to walk away with the self-defense skill set to defeat criminals intent on harming me or my family. I want these skills engrained in my subconscious and nerve system, so they’re readily available at any time… anywhere….in any situation. Saturday: Starts at 10:00 and ends between 4pm- 5:00 pm. 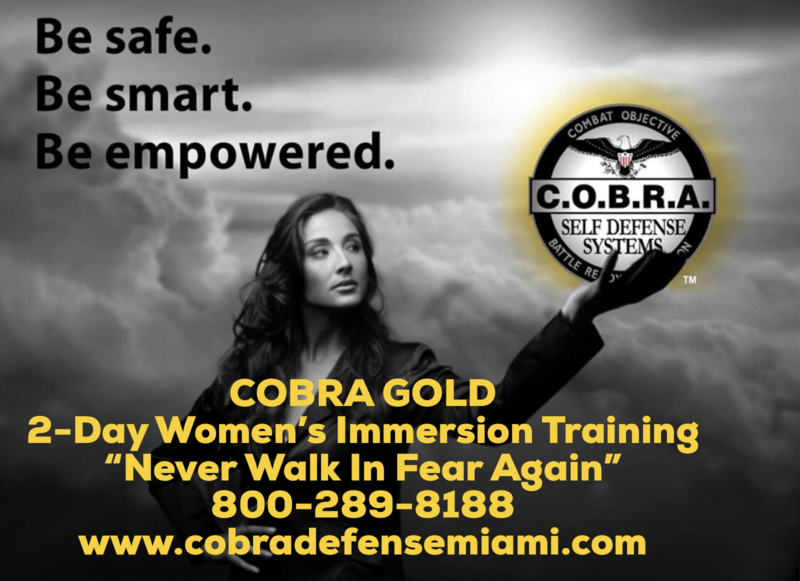 COBRA Gold Immersion training is led by world class Elite & Corporate trainer, COBRA Regional Director Joe Robaina and his A-Team of COBRA Certified Instructors. Combining technology with hands-on individualized attention, your learning experience is unsurpassed. 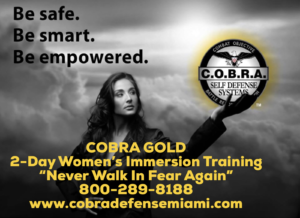 Our specialty is imparting reality based self-defense skills sets in record time. To that end we use a teaching methodology, same if we were training SWAT professionals, that accelerates your learning of the material. Our “ Battle Ready Application Method” helps you master and retain your skills 200% faster! 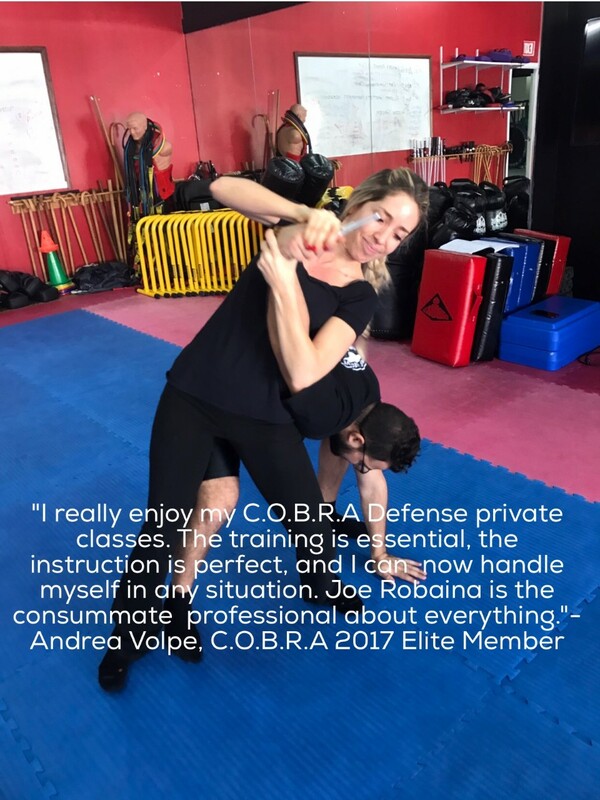 Our professional training team emphasizes safety first, so you don’t get hurt or injured as in other martial art-type training. And rest assured, this is NOT military-style, talk down to you training either. 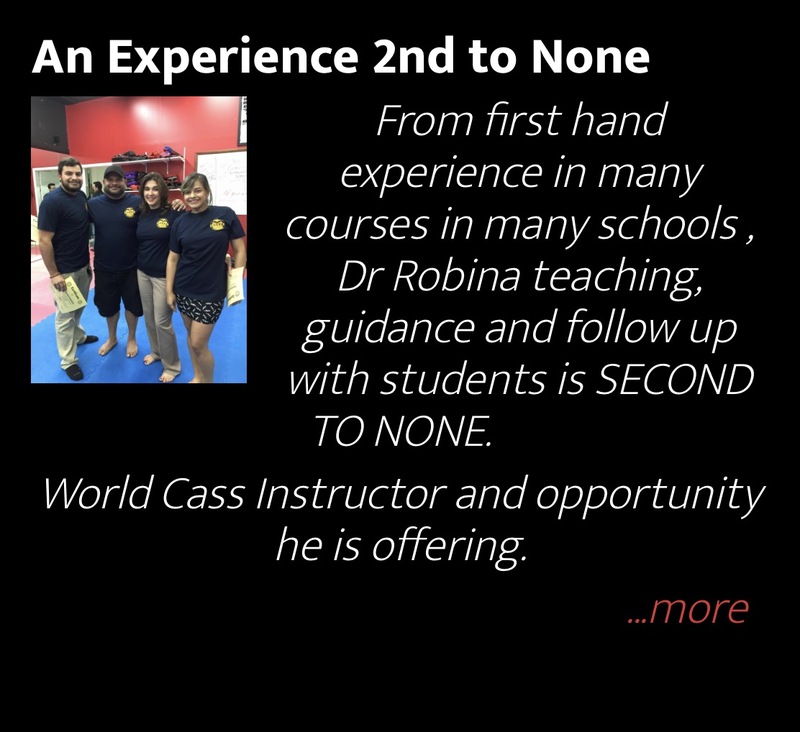 Because it is fashioned after police academy training, everyone goes through the same training, achieves transformational results and…your training experience culminates in an unforgettable “Matrix Experience” that is amazingly empowering. Attendance is generally limited to 3- 6 participants each class. 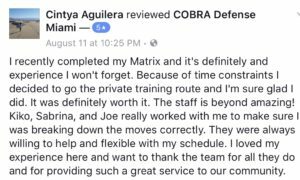 COBRA Certified Instructors and COBRA Gold Graduates actually work with you throughout your training. 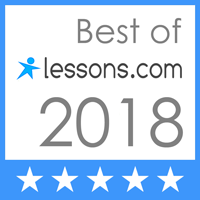 It’s an unparalleled learning experience. Participants must be 13 years or older because C.O.B.R.A. Training deals with reality based scenarios and mature topics not appropriate for children. 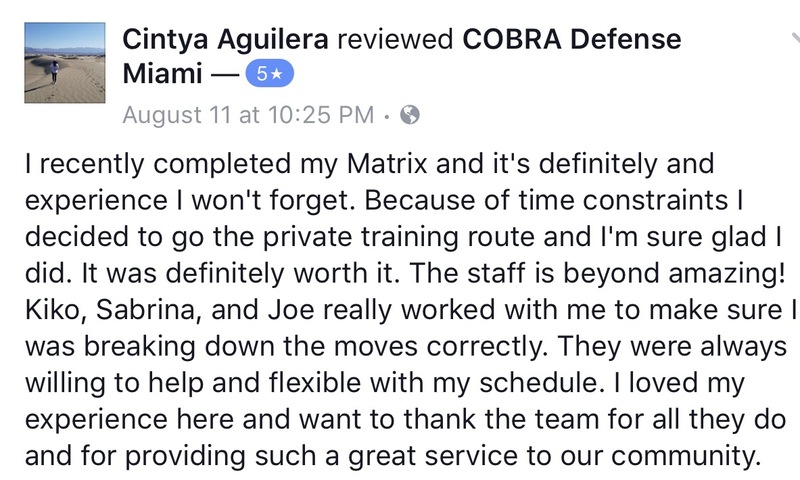 As an alternative until your child turns 13, our training center offers a COBRA Kid’s curriculum. Please call 800-289-8188 for details. 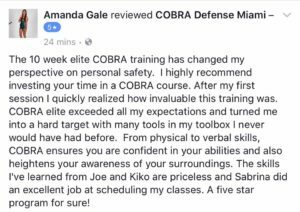 Answering the short 5 question Mindset filtering sheet & scheduling a No Cost, Don’t Be A Victim Self Defense Power Class. 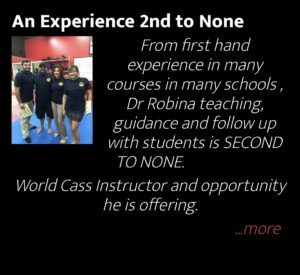 The No Cost class will let you experience what the training is like, the problems we solve, and you will walk away knowing exactly what to do to survive a violent, life threatening scenario. 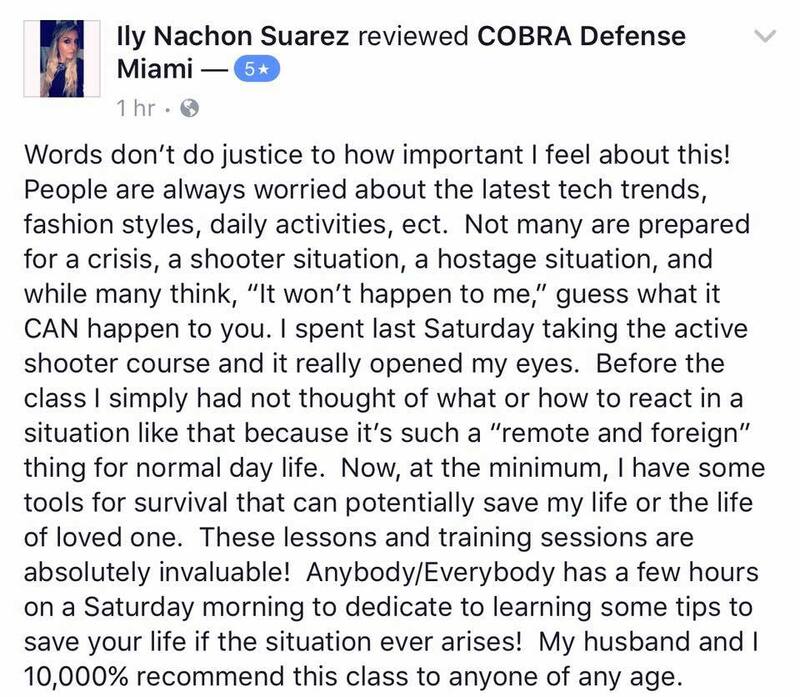 Your self defense IQ will increase 200% from this class alone. Text WIT to 305-745-7839 or call 800-289-8188. 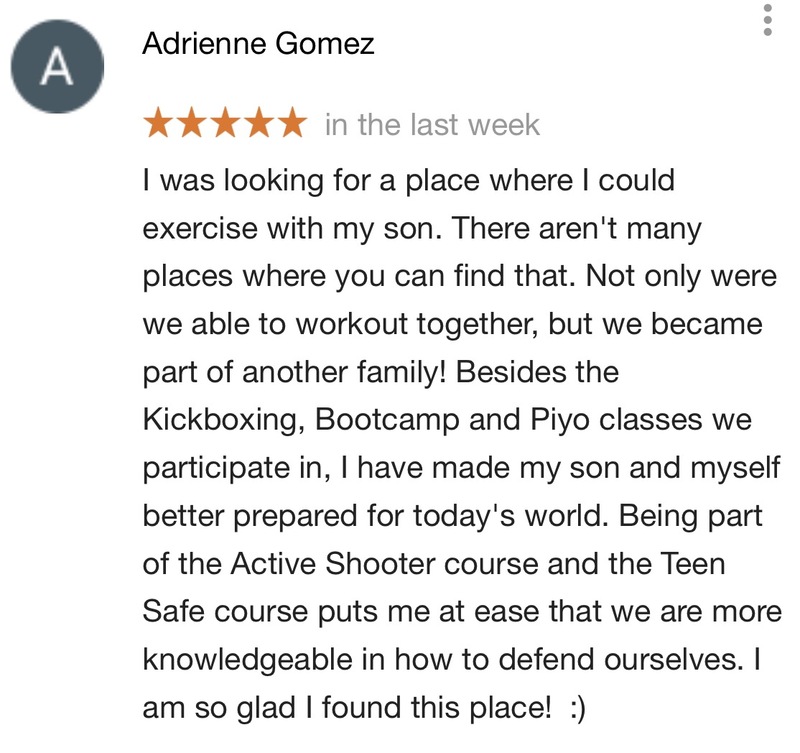 We look forward to you walking empowered for all your days!